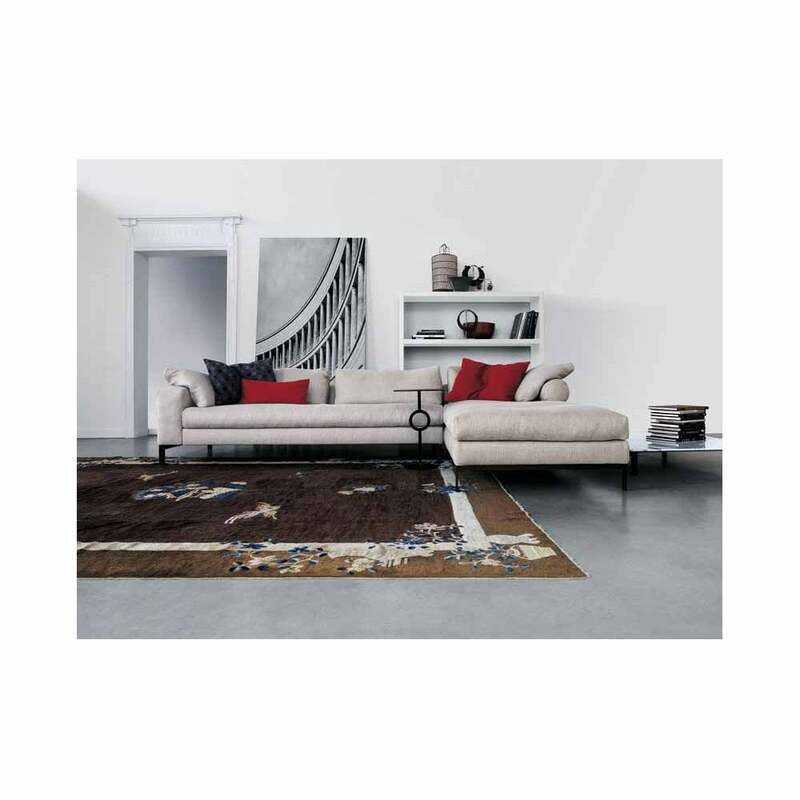 Sofa, wooden frame with elastic straps, with pad in expanded polyurethane, upholstered with feather mattress. Seat feather cushions with insert in expanded polyurethane, with differentiated density, upholstered in cotton and heavy cotton. Backrest feather cushions upholstered in cotton. Support for backrest cushions in curved plate upholstered in matching fine velvet. Base in powder coated metal (colour brown bronze) or chrome-plated metal with anti-skid ferrule. Elements upholstered in completely removable fabric or in leather with cushions having removable covers and structure with non-removable covers. Thanks to its structural characteristics and dimensions, the Molvedo sofas and benches can be upholstered with the covers of the Peplo style. A collection of sofa elements whose simple, minimal volumes are endowed with the greatest comfort thanks to a feather-down filling. It achieves an informal appearance with a friendlier look, without, however, losing any of its design value; its modular structure. Various components available for many sofa configurations, contact us for details. Comprises of: 0MV215 and 0MV201.